Make Direct Energy your Ohio electric and natural gas company and trusted home services provider for electricity, natural gas, plumbing, electrical, and HVAC services. We're more than just an electricity and natural gas supplier in Ohio! Direct Energy helps Buckeyes all over the state take advantage of energy choices with accessible fixed rate plans, innovative product offerings, engaged customer service and high-end homes services. You won't find this blend of forward-thinking energy expertise and compassionate care with any other Ohio electric company. With energy and home services like this, we belong in the Rock N Roll Hall Fame! Your Ohio utility company might give you good service, but you should expect greatness from your energy company! So save your screams for Cedar Point, and find peace in switching electric or gas suppliers. Direct Energy provides a wide selection of electricity and natural gas plans – including fixed-rate options up to 36 months in length – so you can be free of fluctuating Ohio energy rates. Plus, you'll never pay an early termination fee with any of our plans when you sign up online! When it's time for maintenance or repairs, you want knowledgeable and experienced professionals. We've assembled a team of highly-trained home services experts throughout Ohio to maintain your plumbing, electrical wiring, air conditioning, and more. Take control of your energy information! 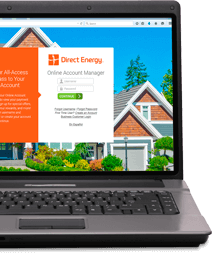 Your new Online Account Manager gives you access to what you need most from your Ohio electric company - the details to be a more informed energy consumer. 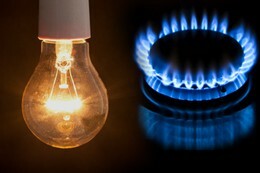 Tired of electricity and natural gas bills that don't work together? We are too, so we created the Dual Fuel plans that bundle Ohio energy. You can now buy both commodities from the same company with the same contract term, making renewals and billing easier. 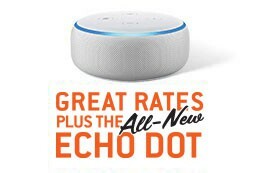 Get an Echo Dot when you sign up for Power on Command 24, and manage your energy usage, control lights, and more with the power of your voice! Don't suffer through heat or cold because of an HVAC breakdown. 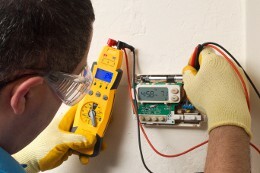 Call on Direct Energy's climate control experts in Ohio for the home services you need to keep your system shipshape. When you join our communities on Facebook, Twitter, Instagram, Pinterest, YouTube, and LinkedIn, you'll get the latest industry news, updates for our customers, relevant weather information, and energy efficiency tips. Be on the lookout for fun games and promotions on our page too - there's always something fun going on. Thanks to our deregulated market in Ohio, you now have other options for natural gas and electricity besides your utility company. That's why we're grateful that you're interested in Direct Energy. It's our aim to provide you with top-notch service and innovative products and plans that benefit you and your home. Take advantage by exploring your options today to find the best Direct Energy plan for your home! Attention members of the military community: we're proud to announce we've got an exclusive electricity rate for your home! We're honored to power the homes of active-duty military, veterans, and members of the military community. Your special discount is our small way of saying thank you for your service.